Solarflare offers customers the lowest latency networking solutions for electronic/high frequency trading and other financial services applications with its high-performance 10GbE server adapters and Onload™ application acceleration middleware. These products enable customers to leverage their existing Ethernet and IP infrastructures while achieving the absolute lowest latency with no need to modify applications. The CTO of an equity trading firm, who agreed to talk with HPCwire‘s sister pub EnterpriseTech anonymously, said his company has been a Solarflare customer for four years and that its IT department has validated Solarflare’s claims for TCPDirect of 20-30 nanoseconds latency. Financial traders are in a race to make transactions ever faster. 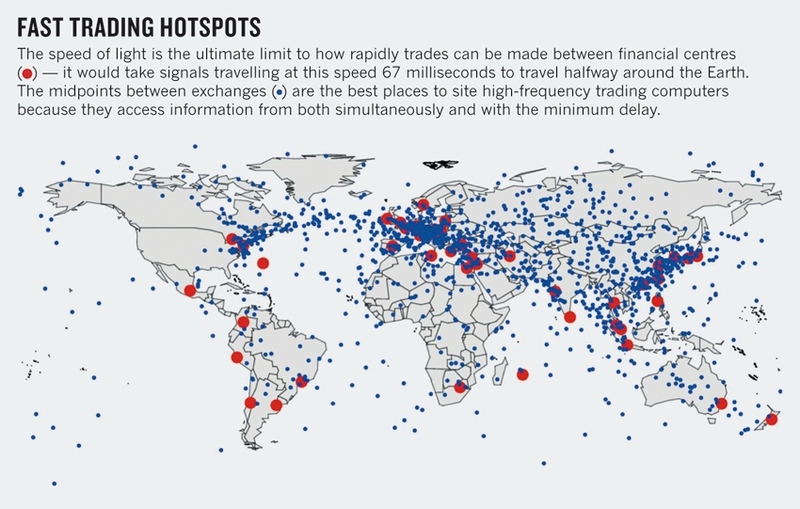 In today’s high-tech exchanges, firms can execute more than 100,000 trades in a second for a single customer. This summer, London and New York’s financial centres will become able to communicate 2.6 milliseconds (about 10%) faster after the opening of a transatlantic fibre-optic line dubbed the Hibernia Express, costing US$300 million. As technology advances, trading speed is increasingly limited only by fundamental physics, and the ultimate barrier — the speed of light. Through glass optical fibres, information travels at two-thirds of the speed of light in a vacuum (300,000 kilometres per second). To go faster, data must travel through the air. Next up may be hollow-core fibre cables, through which light would travel in a tiny air gap at light speed. 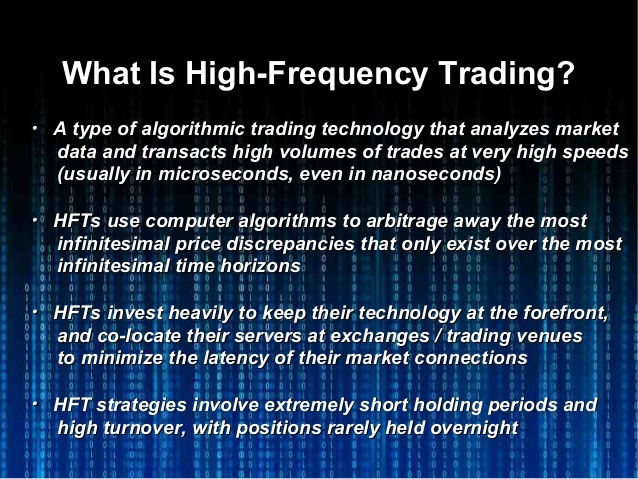 High-frequency trading relies on fast computers, algorithms for deciding what and when to buy or sell, and live feeds of financial data from exchanges. Every microsecond of advantage counts. Faster data links between exchanges minimize the time it takes to make a trade; firms fight over whose computer can be placed closest; traders jockey to sit closer to the pipe. It all costs money — renting fast links costs around $10,000 per month. Locating servers at major exchanges and as close as possible the actual computers that commit the trades. 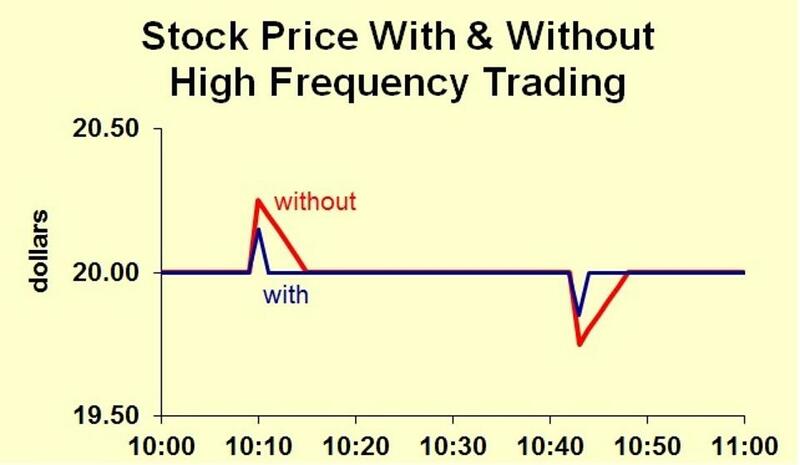 Solarflare is regarded as a partner that allows high frequency trading firms to focus on core competencies, rather than devoting in-house time and resources to lowering latency. TCPDirect is a user-space, kernel bypass application library that implements Transmission Control Protocol (TCP) and User Datagram Protocol (UDP), the industry standards for network data exchange, over Internet Protocol (IP). It’s as part of Onload, Solarflare’s application acceleration middleware designed to reduce CPU utilization and increase message rates. 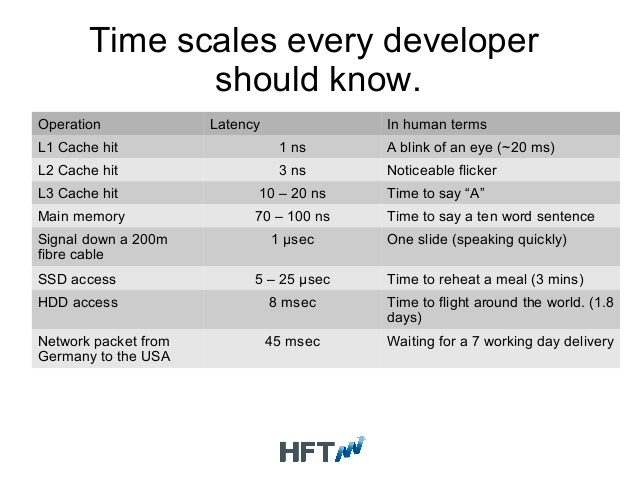 The latency through any TCP/IP stack, even written to be low-latency, is a function of the number of processor and memory operations that must be performed between the application sending/receiving and the network adapter serving it. According to Ahmet Houssein, Solarflare VP/marketing and strategic development, TCP/IP’s feature-richness and complexity means implementation trade-offs must be made between scalability, feature support and latency. Independently of the stack implementation, going via the kernel imposes system calls, context switches and, in most cases, interrupts that increase latency.